Another quilt, finished and ready to go. This one is 60 x 70. 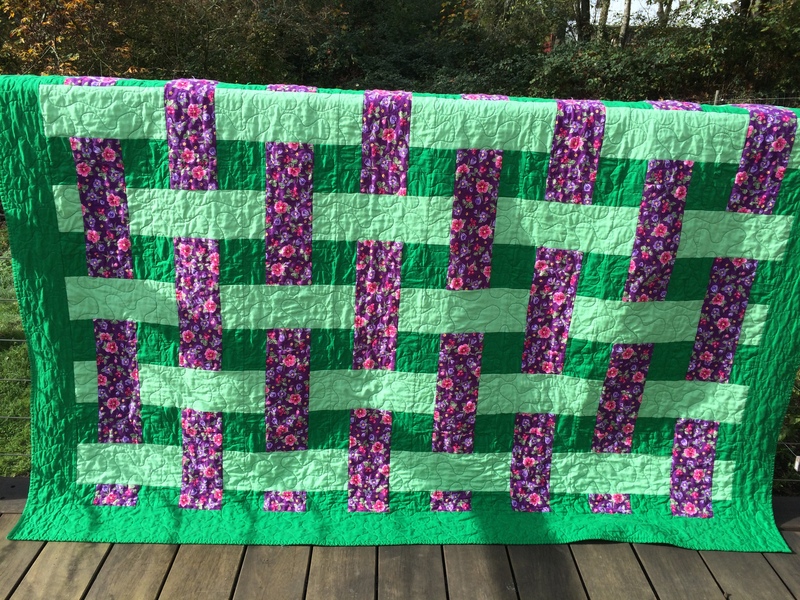 I love the two greens with the flower fabric. It looks so spring like and happy. And I was sure to tuck lots of prayers into it as I sewed on it.